Lembaga Kebijakan Pengadaan Barang / Jasa Pemerintah - LKPP is the National Public Procurement Agency of Indonesia (NPPA). LKPP is a non ministerial agency in Indonesia which was formed to implement the development and formulation of public procurement policies in Indonesia. LKPP was first started in 2005 as the second echelon working unit named Pusat Pengembangan Kebijakan Pengadaan Barang/Jasa Publik (PPKPBJ) or the Center for Public Procurement Policy Development. LKPP officially established as an independent agency in 2017 based on the Presidential Regulation No 106 of 2007. 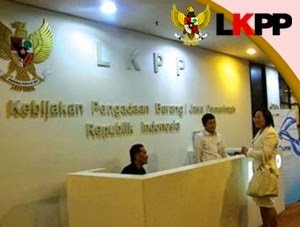 LKPP is based in Jakarta and its principal office is registered at SME Tower Lt 8, Jl Gatot Subroto Kav 94 Jakarta. the organizational structure of LKPP comprise of 3 bureaus, 12 directorates in 4 deputies. At present, LKPP was lead by Agus Rahardjo as Chairman of LKPP. He is assisted by 4 deputies, namely Deputy Chair for Strategy and Policy Development, Deputy Chair for Monitoring Evaluation and Development of Information Systems, Deputy Chair for Human Resource Development, and Deputy Chair for Legal Affairs and Complaints Handling. Male/Female, age around 25-35 years old. Minimum S1 in the field of Informatics, Computer Engineering, Electro or equivalent. Minimum 2 years of experience in the field of IT. Minimum 2 project portofolios in web based Development Information System applications (proven by CV and Portfolio). Strong knowledge and skills in programming language PHP and or Java, C#. Mastering MySQL database andor SQL server, preferably mastering MySQL database. Application letter, addressed to Pejabat Pengadaan Biro Perencanaan, Organisasi Dan Tata Laksana LKPP.